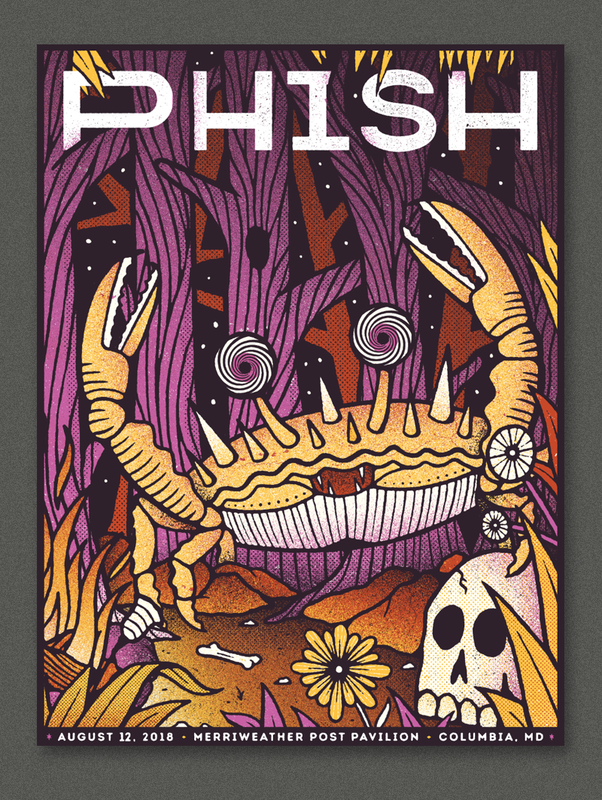 Here is the final art for the Maryland shows - set up as a 3 color print. 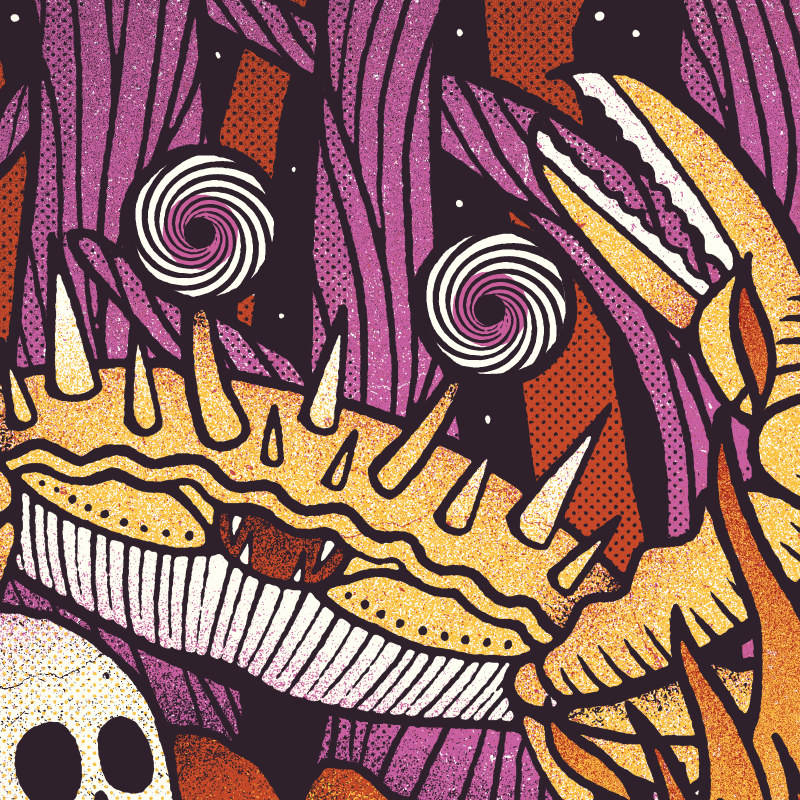 I think these are gonna look killer printed up with some really bright inks! 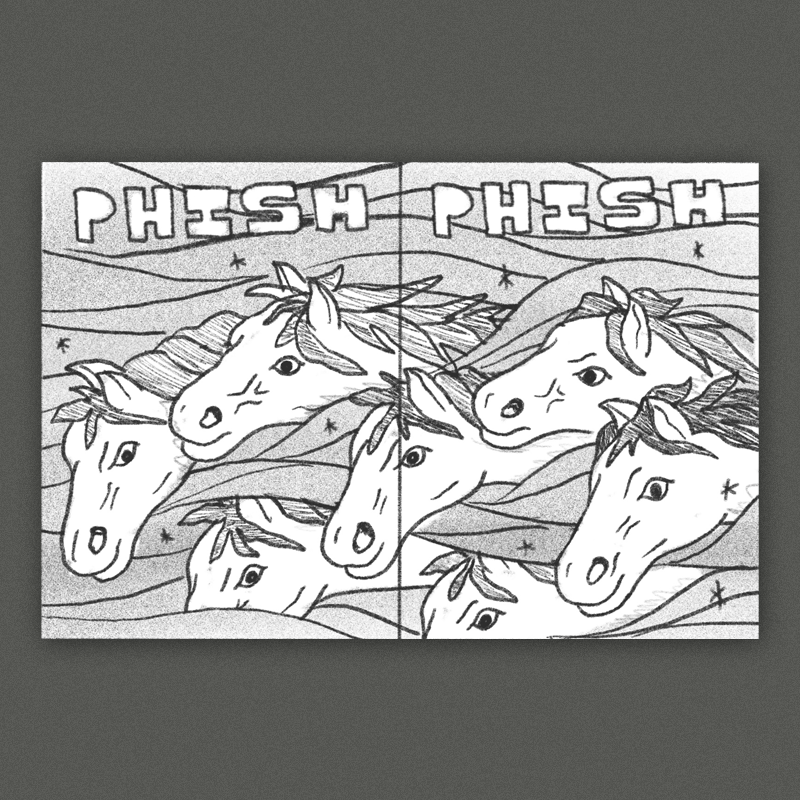 A reference to the nearby pimlico horse racing tracks - A cosmic horse race weaving in and out of a swirling colorful flowing pattern. 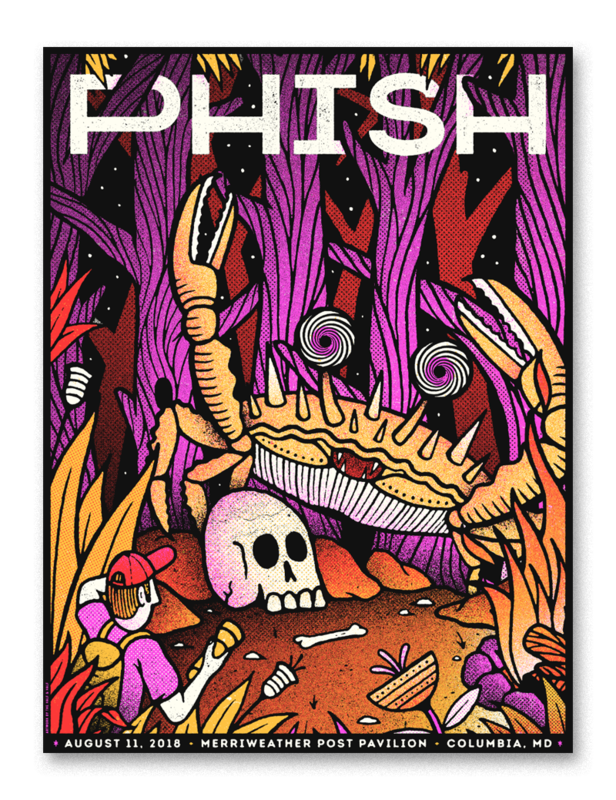 Stained-glass & occult inspired compositions (similar to the ticket art in format) - the left poster has a crab, the right has a raven - both classic maryland symbols. I think these would look awesome with lots of detail & color. Here is another poster we've done in this style. A lone explorer stumbling upon a weird man eating hypno-crab fire ritual in the forest. I think this concept would be really great rendered in a style similar to the King Gizz poster we just wrapped up - dark, moody, dense & detailed. Here are a few rough concepts for the Maryland posters - I actually spent some time in that area a few weeks ago so these were extra fun to work on! One panel has a tall ship with tons of brightly patterned sails navigating a swirling psychedelic sea. 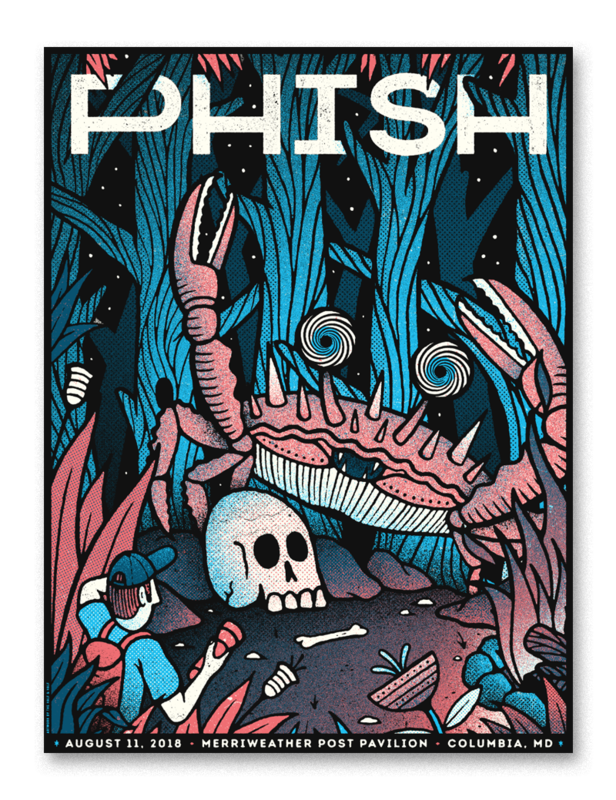 The right panel has an island with a phishy lighthouse, a skeleton-sailor is leaned up against it with his trusty guitar, guiding the ship into the harbor. This idea is inspired by Baltimore's inner harbor, which has the USS Constellation and a weird little lighthouse in it. I think this direction could be really awesome with some bright, eye-catching colors. 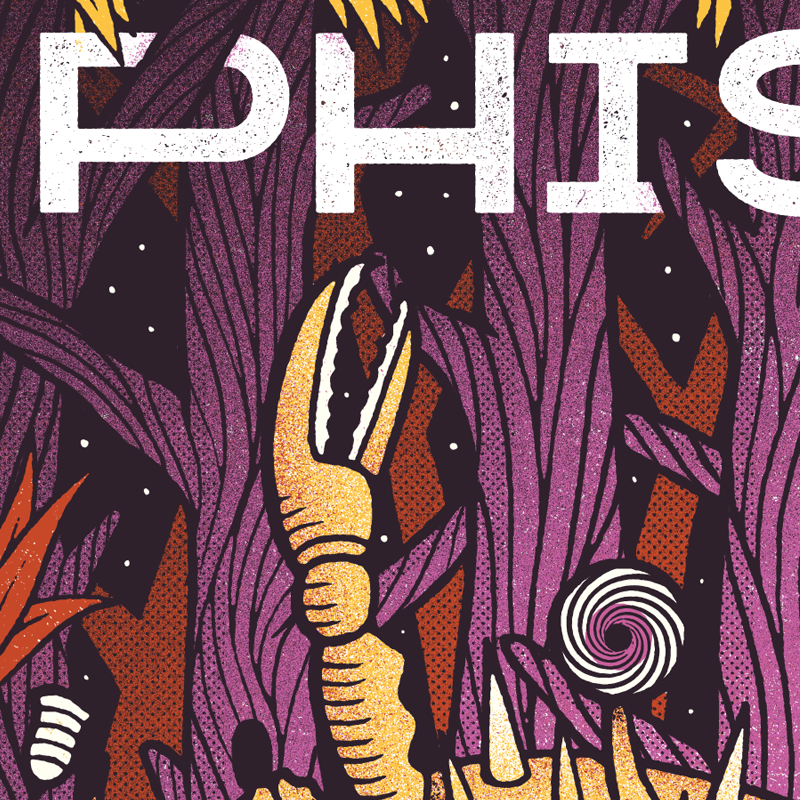 This concept is inspired by all of the woods that surround the pavilion, and the character that we drew for the ticket design. 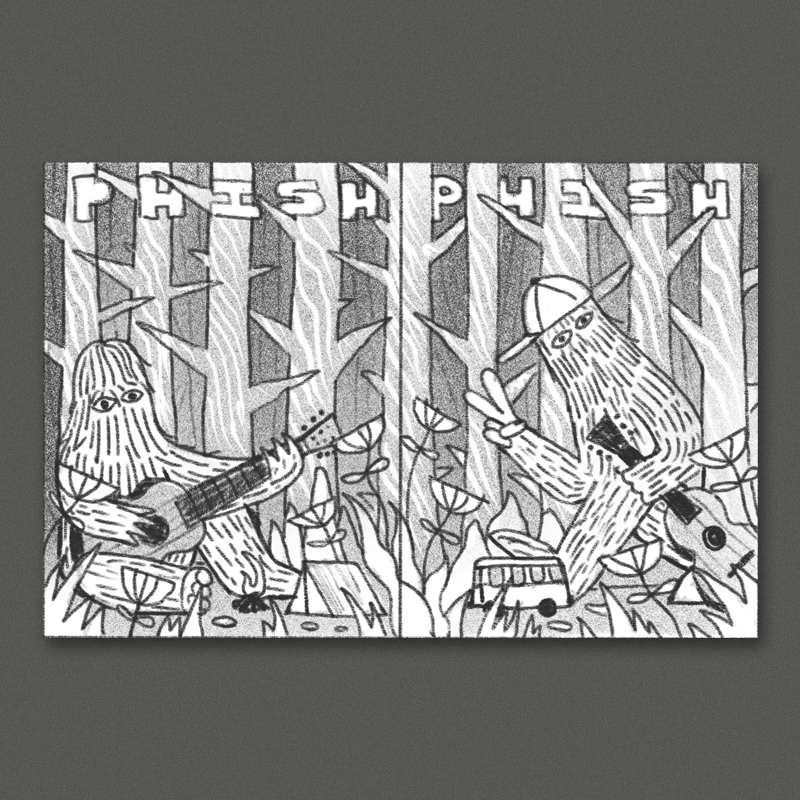 In one panel one of these giant fuzzy guys is chilling around somebodies campfire strumming a guitar, in the other panel his buddy is strolling up to join him. The figures are surrounded by the woods behind them and dense, detailed foliage with brightly colored flowers and other plants all around.I think this would look great with a more moody almost monochromatic night-time color scheme. This direction could be a great candidate for some glow in the dark highlights too if we wanna get really fancy with it.